Submarines of the Ghadir class claimed to have technology that evades ultrasonic radars, ability to launch missiles from underwater, as well as torpedoes of fire and dropping marine mines. Iran’s navy has acquired two new mini submarines designed for operations in shallow waters such as the Persian Gulf, Iranian state television reported on Thursday. The report said that one of the mini submarines, also known as “dwarf submarines”, was nicknamed Ghadir-955 and was built in 18 months. The other, a previously built Ghadir-942, took 10 months to revise. The submarines have ultrasonic radar evasion technology and can launch missiles from underwater, as well as fire torpedoes and launch mines, television said. 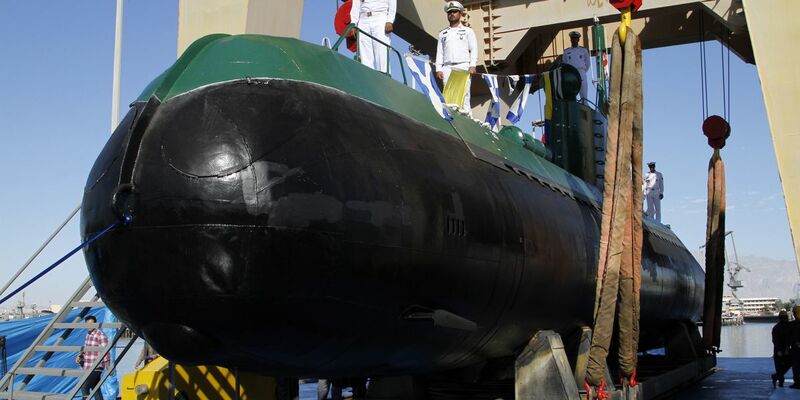 Iran began manufacturing Ghadir submarines in 2005. The first was unveiled in 2007 and, in 2012, five of those submarines were incorporated into Iran’s navy. Dwarf submarines weigh less than 150 metric tons and are used for short missions, without accommodation for a crew of up to nine people. The television broadcast images of the inauguration of one, the submarine in the southern port of Bandar Abbas, at the mouth of the strategic Strait of Hormuz, the passage of almost a third of all oil marketed by sea. At the ceremony, Admiral Mojtaba Mohammadi said the submarine is the 14th ship manufactured by Iran that joined the navy. Iran does not disclose the total number of submarines in its fleet, however, it is believed to have about 12 light submarines and three Russian-made submarines. Iran, which has been developing its own tanks, armored vehicles, missiles and fighter jets as part of an arms development program initiative since 1992, often boasts of new achievements or acquisitions that can not be verified in a dependent manner. The announcement of the submarines is likely to be aimed at improving Iran’s military image amid growing tensions with the United States, which in November imposed all the sanctions eliminated under the 2015 nuclear agreement between Iran and the world powers. The Trump administration took the United States out of the agreement in May. Last month, a senior Iranian official said the range of the country’s sea-to-sea ballistic missiles has increased to 700 kilometers (435 miles). “We have managed to make sea-to-sea ballistic missiles, not cruisers, that can hit any boat or ship in a range of 700 kilometers,” said Amirali Hajizadeh, head of the airspace division of the Revolutionary Guards, according to the news agency Fars . “The increase in the capacity of ballistic and cruise missiles … and the acquisition of new generation fighters and heavy and long-range vessels and submarines with various weapons capabilities are among the new plans of this ministry,” said Mohammad Ahadi, Deputy Minister of Defense for International Affairs of Iran, according to a Reuters translation . In 2017, the supreme leader of Iran, Ayatollah Ali Khamenei, ordered limits on the country’s 2,000-kilometer ballistic missile program. That rank would encompass much of the Middle East, including Israeli and American bases in the region. However, such limits occur when Iran routinely says that its ballistic missile program is only for defensive purposes against regional adversaries. Although there are no restrictions on the range of Iranian missiles, US President Donald Trump insisted that restrictions be imposed on the Tehran missile program as a prerequisite for Washington to remain in the historic 2015 nuclear agreement with Iran, from which he finally withdrew on May 12. The United States and its allies have been demanding that Iran stop its production of ballistic missiles, which could reach parts of Europe and could soon reach the United States. Western officials have argued that the only reason Tehran could have to manufacture such missiles would be to equip them with unconventional, even atomic, warheads. Tehran, which calls for the destruction of Israel, insists that it sees the missile program as crucial to its defensive stance, and says its existence is non-negotiable. Resolution 2231 of the Security Council of the United Nations, which confirmed Iran’s nuclear agreement, urged Iran to refrain from developing missiles capable of transporting nuclear weapons. Iran has argued that it never intended to develop nuclear weapons and, therefore, its missile development does not violate the agreement. However, Prime Minister Benjamin Netanyahu has presented evidence that, according to him, details the Iranian research efforts and programs specifically aimed at producing atomic weapons.